Stewart Herman concentrates his practice in commercial- and business-aircraft transactions. 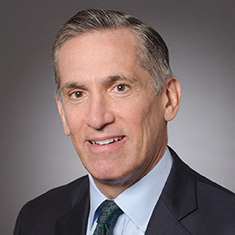 He has extensive experience in structuring, drafting and negotiating leasing, sale and financing transactions for aircraft and other asset classes, including tax-based leveraged leases, cross-border leases, portfolio securitizations, pre-delivery payment financings, and bankruptcy and workout transactions. He has represented US and international leasing companies, commercial and investment banks, aircraft and engine manufacturers, US and foreign airlines, monoline insurance companies, and hedge funds. Stewart frequently speaks at aviation conferences and writes for trade and legal publications. He previously served as a law clerk to the Honorable Murray C. Goldman, Philadelphia Court of Common Pleas. Shown below is a selection of Stewart’s engagements.